This is my favorite moment in Sri Lanka. When I went to Sri Lanka, I didn’t know much about the country. 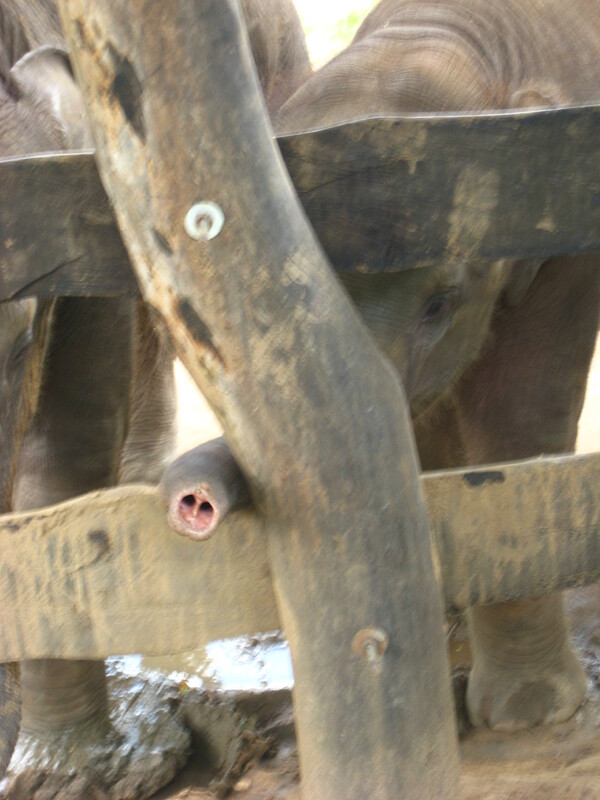 But I knew that, more than anything else, I wanted to see one of my favorite animals: elephants. Wild elephants, in their jungle habitat. 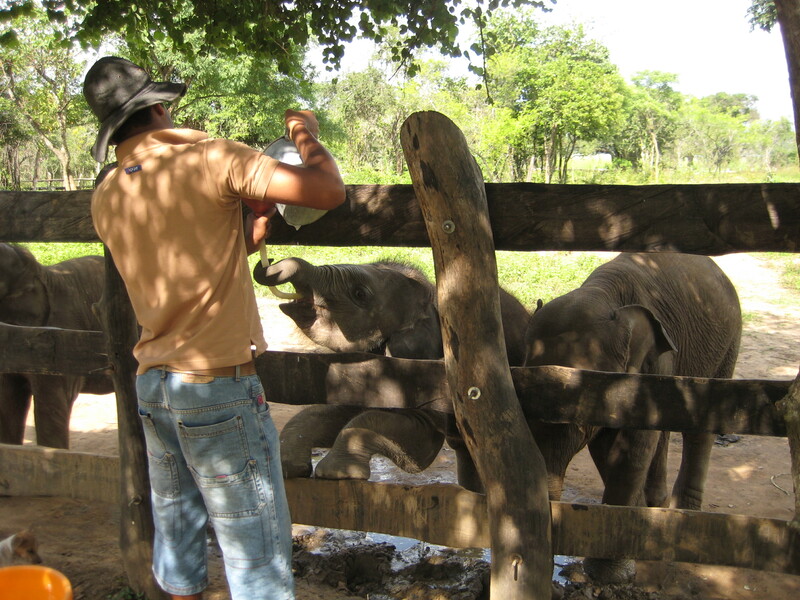 This picture was taken at the Elephant Transit Home, a rehabilitation center for injured and orphaned elephants. These three youngsters were never more than a few inches away from each other. They pushed each other around, nudging each other with their heads, scuffling like puppies. They constantly caressed each other, holding trunks like children holding hands. We got there just in time for lunch, which they hailed with great enthusiasm. A baby elephant drinking from a bottle is possibly the cutest sight on the planet. Young elephants stay at the home till they’re about five years old. Then they’re released to a national park. It’s been found that the elephants do best when released to the wild in small groups of three or four—lone elephants don’t thrive, and larger groups stay together and don’t join other elephants, so they don’t learn to adapt to life in the wild. So these three will most likely go out into the jungle together when they’re old enough. Hopefully, a long life together in a national park is in their future. Sri Lanka is just emerging from a brutal, bloody civil war. Thirty years of terrorist attacks, suicide bombings, landmines. Tens of thousands of civilians killed. But there are no traces of the tragic violence in the towns and villages nowadays. In fact there’s no reference to the war at all. Everywhere you see signs and newspaper articles that put a relentlessly positive spin on the future. Sri Lanka—one nation, one voice, is the optimistic slogan of the Internet provider. Sri Lankans are trying hard to put the past behind them. They’re extremely anxious to be seen as a peaceful, stable nation. They really, really want to attract tourists, and tourist dollars. And they get that tourists want to see elephants. Now, you’d think that everyone loves elephants, right? But in Sri Lanka, elephants are a major source of problems. To a clueless tourist like me, it seems so cool to see elephants strolling around the landscape. Elephants in certain areas of Sri Lanka are sort of like deer in upstate NY—they’re wild animals, yes, but they’re so common in some areas that you often see them crossing the road or sauntering through the bushes. They’re pretty much used to people, aren’t particularly scared of them. Elephants are majestic to look at, astounding to watch—but think of all the problems that deer cause. Deer nibble at gardens. They cause road accidents. They get into crops and orchards. Now imagine if the two-hundred-pound deer was a five-ton elephant. Sri Lankan villagers get understandably irate when elephants trash their crop fields, totally destroying their only source of income. And the farmers do more than just get mad. More than a hundred elephants die every year in what the government calls Elephant-Human Conflicts. That’s how these adorable babies got orphaned. And the elephants retaliate. Elephants kill approximately 60 people in Sri Lanka every year—that’s more than one person a week. (Imagine if white-tailed deer killed one person in New York State every week.) I can’t blame Sri Lankans for having mixed feelings about elephants. There are people working on creative solutions. Sri Lanka has a growing Conservation Department and many National Parks. Several not-for-profit organizations are getting involved in the situation. One effective method is to encourage farmers to grow ERCs–elephant-resistant crops. Apparently elephants won’t eat lemons, oranges, or chilli peppers. But I think that tourism is one of the strongest forces to protect elephants. I made a point of going to every elephant-related venue I could find, including one of the fabulously beautiful National Parks. 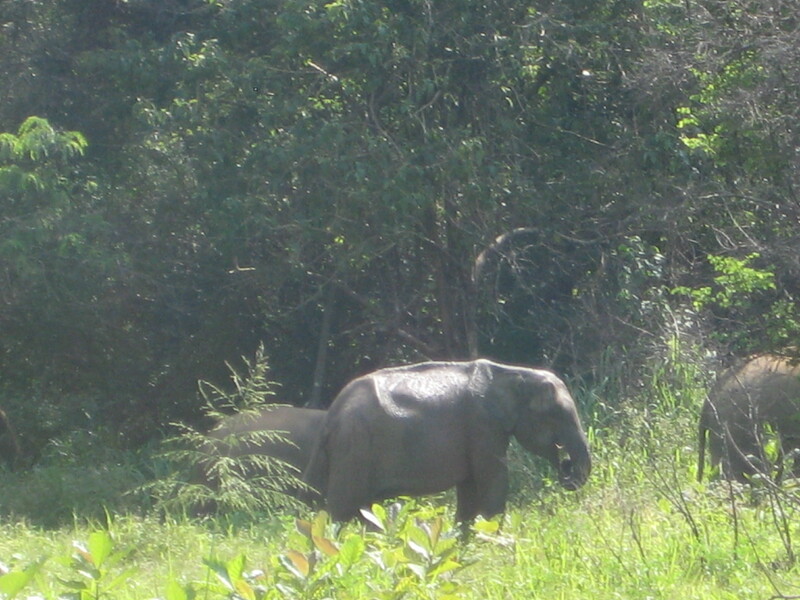 I took pictures of elephants, talked about elephants, exclaimed over how beautiful they are. I paid some bucks to go on a jeep safari to see elephants, and tipped the guide and the driver well. Sometimes it’s good to be a goofy, camera-toting, enthusiastic tourist. Because the more tourists who show they value elephants, the more Sri Lanka will work to protect elephants. 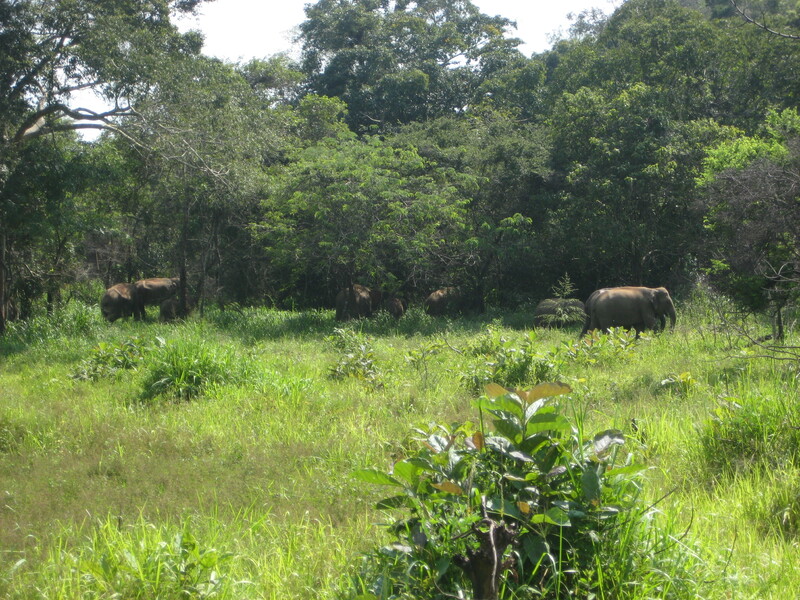 Elephants are the best investment Sri Lanka can make for a positive future. Here’s an excellent website with information on environmentally responsible elephant tourism. Thanks to Tim Steele for the beautiful photography!